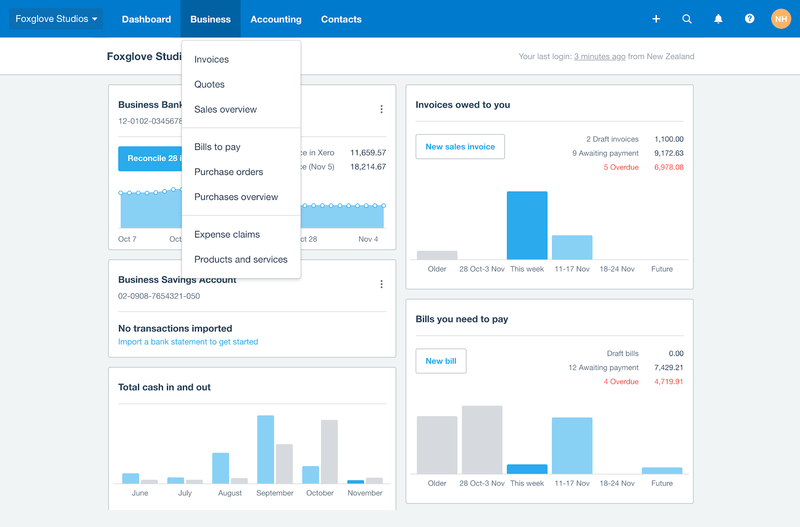 In the last week of November, Xero will roll out their new navigation – Helping you get a simple, beautiful experience. This is so everyone can get on with daily tasks easily and efficiently. It’s based on research and testing with hundreds of people – Including accountants, bookkeepers, small business owners and those brand new to Xero. Once you’ve got used to the changes, it’ll be easier and more efficient to complete everyday tasks in Xero. For new users, it’ll be much quicker to learn and more obvious how to get to where they need to go. The biggest differences are new and intuitive menus that will make it easy to find the tools you use most often – whether you’re a novice or an expert. 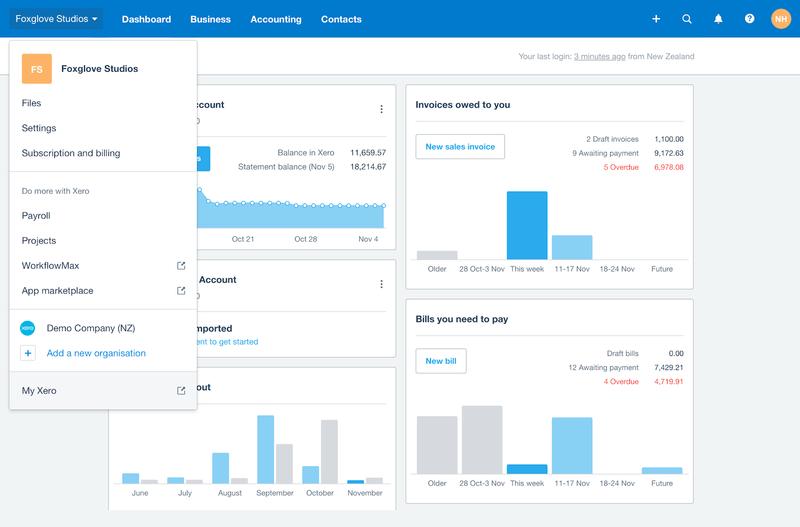 When the new navigation is available, you’ll see a few things have moved and there are new headings, but everything you know and love about Xero is still here. 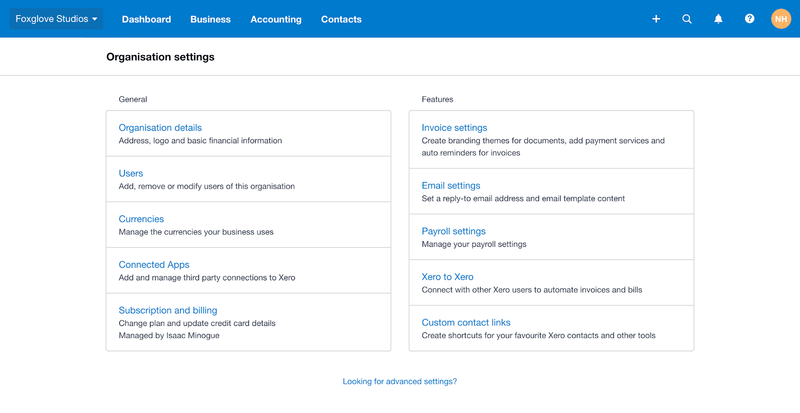 At the left hand side is the organisation menu which includes the file library, settings for the organisation, and links to apps that connect with Xero. The dashboard is still there – and so is contacts. Everyday tasks have now been grouped more logically. The Business menu holds the tools that most small businesses use, like quoting, invoicing, bills, purchase orders, and expense claims. If you’re looking for ‘Inventory’, it’s now called ‘Products and services’ to better describe the information that people record here. The Accounting menu leads to the compliance items that your accountant or bookkeeper uses often, including bank accounts, reports and advanced tools and settings such as chart of accounts, find and recode, and manual journals. Financial settings, chart of accounts and tax rates are now in Advanced accounting. The reports and features and settings that you set as favourites show here. Create a favourite report: click the star on the report within Reports. It will appear in the ? Reports list on the dropdown menu. Create a favourite advanced feature or setting: click the star on the item within Advanced accounting or Reports and it will appear in the ? Advanced list. The top left of the navigation bar now features your organisation menu. If you have access to more than one organisation, you can switch between them easily or find them with a search. Here’s where you’ll also find the ‘Demo Company’. You’ll notice that ‘Files’ and business ‘Settings’ have moved here to keep everything related to an organisation in one place. 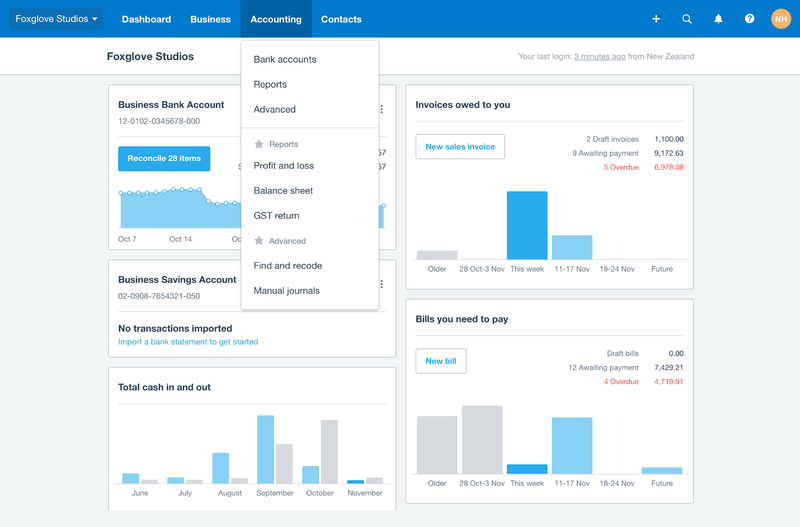 Under the new ‘Do more with Xero’ section, an organisation will be able to connect to third-party apps in the ‘App marketplace’, or to modules such as Xero Payroll and Xero Projects. 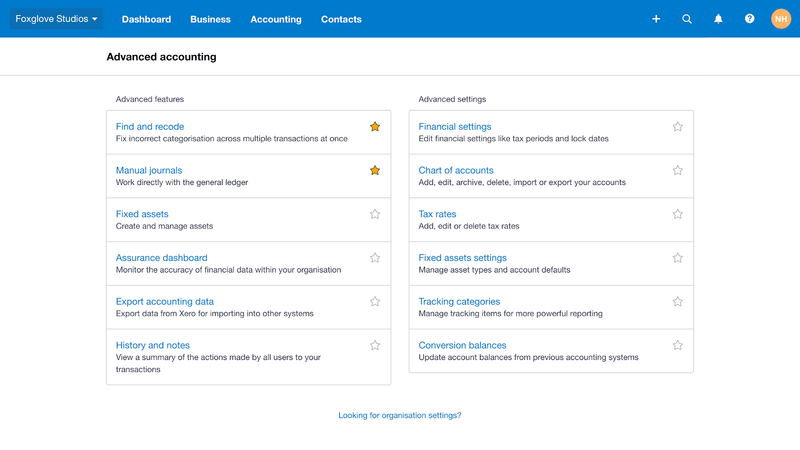 There are additional shortcuts for jumping to commonly viewed screens, or to add new items in Xero.